Dr Kanji is a Musculoskeletal Pain Specialist and Researcher who has experienced first hand chronic low back pain and chronic neck pain. He was in a motor vehicle accident at the age of five when he broke his hip. 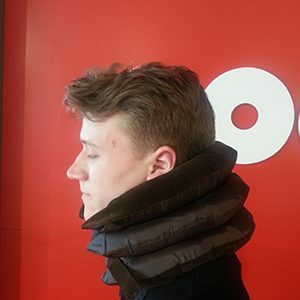 Over the past few decades he has experienced low back pain, nerve symptoms down the legs as well as neck pain and nerve symptoms down both arms at night. In 2012 he was at the gym leg pressing 200 kg and the lever slipped and crushed him. He experienced low back pain and sleep disturbance, waking at 2am every night for several years after this incident. An MRI scan of his lumbar spine shows four discs that are dehydrated and narrowed with extensive fluid seen in the vertebrae adjacent to the discs. 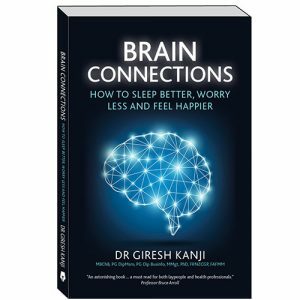 Dr Kanji decided to learn about how pain is generated and studied tension-type headache and migraine, finishing his PhD in 2013. He researched low back and wrote his first book Fix Your Back. His next book Fix Your Neck Pain, Headache and Migraine was launched in 2015 (both books are now available at Whitcouls, Paper Plus and bookshops throughout NZ). Dr Kanji now experiences minimal low back or neck pain after trying treatments for his spine. He has not experienced nerve symptoms in his legs or his arms for over six months. He is very fortunate to have been in a position to have studied full time for many years to find solutions to his pain and many of the patients he treats. Dr Kanji was born in Wellington and graduated from Otago Medical School. After working at Wellington Hospital he worked in Melbourne. He started working full time in Musculoskeletal Medicine in 2002 and went to Newcastle Australia January 2003 to learn how to perform Cervical medial branch blocks and transforaminal steroid injections. His main interests are spinal pain and tendon injuries. Dr Giresh Kanji has completed his PhD titled “The sensory amplification of pain: The causation of headache disorders” at Massey University. The thesis investigated why people develop headache, the role of the migraine gene and sympathetic nervous system in chronic pain disorders. He is currently researching low back pain. 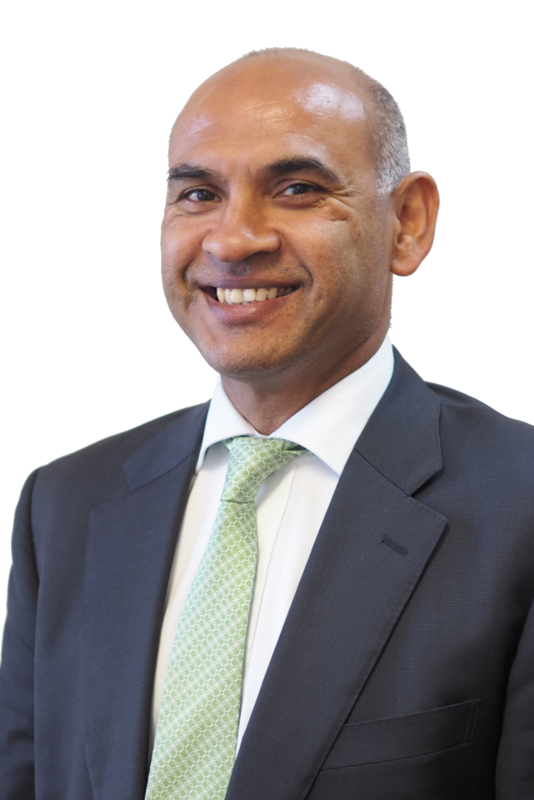 Dr Kanji is the Chairman of the New Zealand Pain Foundation, a research charity. He has written two books (Fix Your Back/ Fix Your Neck Pain Headache & Migraine) and wrote a regular newspaper column titled “painless”. Dr Kanji performs ultrasound guided injections for muscle, joint and tendon disorders. He also performs ultrasound guided extra-corporeal shock wave therapy for tendons. In 2015 he was appointed as the editor of Australasian Musculoskeletal Medicine Journal. He has given presentations in New Zealand, Australia, Tahiti, United States and Europe. Cervical medial branch blocks and radiofrequency in chronic whiplash patients: A literature review in Australasian Musculoskeletal medicine. Chapter written for Encyclopedia of pain on Non steroidal Anti Inflammatories. Treatment of complex regional pain syndrome with peripheral nerve blocks: A case series of nine patients with an 18 month followup. Clinical case series on the use of segmental approach to management of chronic pain. The treatment of low back pain. 2015- currently underway Randomised control trial of inversion for chronic low back pain. In conjunction with Massey University. 2009-2011 Efficacy of regular sauna bathing for chronic tension-type headache. Spinal pain, the evolution of disc injury from cradle to grave. How to prevent deterioration. August 2017 PCS Global Pain Conference.Prague. Keynote Speaker. “The Sensory Amplification of Pain” and “The Pathophysiology and Biomechanics of Spinal Pain”. September 2015 AIMS Conference Tahiti. Why does pain amplify and spread? Tension-type headache, migraine and fibromyalgia explained. Spinal pain-the risks of poor management. October 2014 Arthritis NZ and The New Zealand Pain Foundation present “Spinal Pain” seminar series. A series of three talks are being organised for Wellington, Lower Hutt and Porirua. Once details are finalised they will be posted on the website. July 2014 “Spinal Pain” General Practitioners Auckland. July 2014 “Spinal Pain” General Practitioners Blenheim. May 2014 “The Physiology of Hot Yoga” Public Seminar Bikram Yoga Studio Wellington. April 2014 “Spinal Pain”. Wadestown General Practice Peer Review Group. October 2013 “The Back Seminar”. USL Auckland. October 2013 “The Back Seminar”. ASB Stadium Wellington. June 2013 Chronic Pain Syndrome. Upper Hutt General Practice Peer Review. June 2013 “Spinal Pain”. Massage Institute Wellington. April 2013 Australasian Faculty of Musculoskeletal Medicine Retreat. Presentation given on a new model to explain spinal pain. Chateau on the Park, Christchurch. April 2013 Australasian Faculty of Musculoskeletal Medicine Retreat. Demonstration given on ultrasound guided injections of the shoulder. Chateau on the Park, Christchurch. March 2013 Lower Back Pain Presentation. The structure and function of the lumbar spine disc. Strand Healthcare, Lower Hutt. February 2013 Arthritis NZ Seminar Speaker on Arthritis and Pain, Napier. February 2013 Scleroderma Society Meeting Guest speaker on spinal pain, Wellington. September 2012 Joint Matters Conference of the Australia and NZ Association of Musculoskeletal Medicine. Presented ultrasound workshop on shoulder injections, Amora Hotel, Wellington. June 2012 Sports and Pain Clinic chronic pain seminars. Presentation given on tendinosis with live ultrasound demonstration. May and June 2012 Arthritis NZ Seminar series Speaker on Arthritis and Pain in Wellington, Lower Hutt and Porirua. April 2012 Joint Pain Presentation to Arthritis Educators Arthritis Foundation, Wellington. November 2011 Neck Pain. Presentation Australasian Faculty of Musculoskeletal Medicine Retreat, Kinsgate Hotel, Auckland. September 2011 The causation of headache disorders. Presentation Osteopathic Peer Review Meeting, Wellington. September 2011 Royal New Zealand College of General Practitioners National Conference. Presenter Workshop – Lumbar spine. Langham Hotel, Auckland. August 2011 Shoulder Pain. Presentation on behalf of The NZ Association of Musculoskeletal Medicine Seminar Series. Te Papa, Wellington. March 2011 Headache, Migraine and Spinal Pain. Presentation Kilbirnie Medical Centre, Wellington. May 2011 Pain. Presentation Kopata Medical Centre, Lower Hutt. February 2011 Headache, Migraine and Spinal Pain. Presentation Naenae Medical Centre, Lower Hutt. February 2011 Headache, Migraine and Spinal Pain. Presentation City Medical Centre, Wellington. December 2010 Original research: The Wellington Education and Self Treatment (WEST) headache trial of sauna for CTTH. Presentation at Waiwhetu Medical Centre, Lower Hutt. November 2010 Original research: The Wellington Education and Self Treatment (WEST) headache trial of sauna for CTTH – oral presentation at the Wellington Health and Biomedical Research Society 80th Scientific Meeting, Wellington. October 2010 Original research: The Wellington Education and Self Treatment (WEST) headache trial of sauna for CTTH. Presentation at Teamphysio Sports and Rehab, Lower Hutt. September 2010 The causation of headache disorders: The Wellington Education and Self Treatment (WEST) headache trial- oral presentation open to the public at Bikram Yoga Studio, Wellington. September 2010 The development of chronic pain syndromes, New Zealand National Orthopaedic Nursing Association Conference, Wellington. September 2010 The Wellington Education and Self Treatment (WEST) randomised control trial of sauna for chronic tension-type headache, insights into chronic pain and headache disorders, Royal New Zealand College of General Practitioners Annual Conference (Research Day), Christchurch. August 2010 The Wellington Education and Self Treatment (WEST) randomised control trial of sauna for chronic tension-type headache, Poster presentation at Wellington Health and Biomedical Research Society 79th Scientific Meeting, Wellington. July 2010 The Wellington Education and Self Treatment (WEST) randomised control trial of sauna for chronic tension-type headache, Massey University College of Science Seminar presentation, Wellington. June 2010 The development of chronic pain syndromes and headache disorders: Kilbirnie Physio and Rehab clinic, Wellington. May, 2010 The causation of headache disorders, Winner 3 Minute Thesis presentation competition, Massey University, Wellington. May, 2010 The causation of headache disorders, 3 Minute Thesis Presentation Competition, Massey University, National runner up prize, Palmerston North. March 2010-The Agony and the Ecstasy: Chronic non malignant pain and opioid substitution treatment. Presentation delivered on “A model of the development of chronic pain syndrome/Fibromyalgia”. March 2010 AFMM Retreat Orewa Beach. Presented “WEST (Wellington Education and Self Treatment) randomised controlled trial for chronic tension type headache”. March 2010 The development of chronic pain syndromes and headache disorders, presentation to Newtown Physiotherapy, Wellington. March 2010 Spine in Action Conference, Auckland. Presentation given on “the transformation of low back pain into chronic pain/fibromyalgia.Referred pain from the hip and HPA hypersensitivity”. November 2009 New Zealand Post Graduate Conference, Wellington. Chronic headaches and other medical syndromes: The mismatch of the human body to the current environment. September 2009 National Orthopaedic Nurses conference, Wellington. Invited speaker on Chronic pain in children. April/May 2009 Speaker at Pharmaceutical Society of New Zealand Regional Symposia. Spoke on Headache Disorder Causation in Wellington, Christchurch, Auckland and Rotorua. May, 2009 The causation of headache disorders: Confirmation of thesis, presentation, Massey University, Wellington. December, 2008 Headache Disorders, presentation to Wellington Indian Association, Wellington. August 2008 The causation of chronic pain disorders, presentation to Proactive Physiotherapy, Wellington. June 2005 Dunedin – NZ Association of Musculoskeletal Medicine conference on shoulder pain. Invited speaker talking on convergent referred pain patterns within the cervical spine and shoulder. NZ Association of Musculoskeletal Medicine annual conference “Muscle Pain”, Queenstown September 2003 – Speaker at conference delivering talk on Gradual process injuries. March 2015 Intermediate course on ultrasound guided procedures in San Diego. June 2014 Attended International Symposium for Ultrasound and Regional Anesthesia and Pain Medicine. Toronto, Ontario Canada. April 2006 NZAMSM conference, Wanaka. August 2005- International Assocation for the Study of Pain conference, Sydney. New Zealand Association of Musculoskeletal Medicine weekend retreat March 10-12 2005. Australian Association of Musculoskeletal Medicine conference-Pain Management in the Elderly, Noosa March 3-7 2005. Weekend course on radiofrequency attended June 2004 held in Christchurch by Professor Nikolai Bogduk. AFMM retreat attended March 2003 Christchurch. The challenge of Low Back Pain- Auckland September 2002. Retreat NZASM Christchurch March 2002. 1995 International Spine In Action Conference Christchurch 1996. Exercise Practicum, Harbor, UCLA 1990. British Association of Sports Science, Cardiff 1990. New Zealand Medical Students’ Association Otago 1989. Australian Medical School Students’ Association Perth 1987, Melbourne 1989.